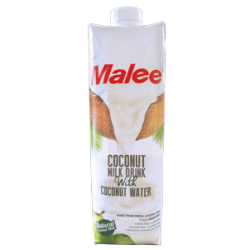 Malee is a delicious blend of pure coconut milk and refreshing coconut water. Naturally dairy-free milk alternative will liven up recipes, smoothies and hot beverages. Absolutely fantastic with cereal. Try Malee – it is truly the best.